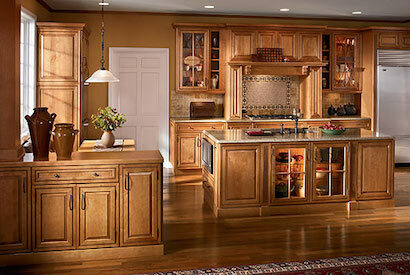 Cabinets are an integral part of every kitchen, bathroom, home office, garage and even entertainment center. Aside from being practical storage areas that every house so desperately needs, they also carry with them an esthetic appeal which can enhance the functionality and style of most rooms in the house. That esthetic appeal is crucial not just for the home owners who want to invest in their house and thus improve the quality of their lives, but also for the home sellers, who are ready to spend a couple thousand of extra pounds to raise the value of their property, shows the fact that each year more and more people choose to invest their money in the cabinetry. As most of them are looking for a quick-fix solution which will stay within their budget, they often opt for a cabinets refacing, giving a facelift to the cabinets’ surface that they already have in their rooms. Cabinet refacing is a process in which the drawer fronts and cabinet doors are replaced, whereas the boxes of the cabinets are veneered either using the wood veneer or a rigid thermo-foil, the choice of which will solely depend on a home owner’s wish and their budget. The time needed for the whole project to be finished is less than a week, often within two to four working days, if the professionals are hired. 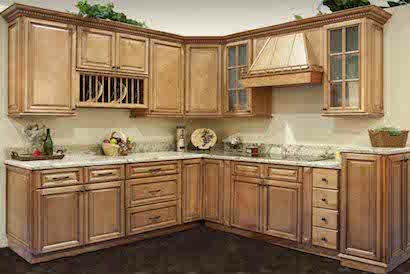 As far as the cost is concerned, cabinets refacing is the most budget-friendly cabinet remodeling available today. It costs half as much as replacing the cabinets and it is done with less hustle than what the replacing cabinets would cause. It is an additional bonus that a home owner can still use their kitchen while the cabinets refacing is in progress, which is often not the case with other cabinet remodeling techniques. To top it all off, it is the greenest solution to the problem of cabinetry, as, essentially, a home owner reuses the already existing cabinets. Once a home owner is ready to do the cabinet refacing, all they need to do is phone a professional, who will measure the cabinets and the veneer needed, remove the doors and drawer fronts, degrease the doors, sand them slightly and then apply veneer and install the new doors and drawer fronts. This all sounds easy, but it is only with a professional help that the final product will look professional. Being almost two decades in the remodeling world, we have learnt all the tricks of the remodeling trade. Our long list of satisfied customers shows that when it comes to refacing your cabinetry, we truly are the number one in Southern California. Our team of highly professional individuals will make sure that all your wishes are heard and are then translated first onto the paper and later into reality as well. Next to time and efficiency, we also promote renewable, clean energy, executing all our projects within the parameters of the U.S. Green Building Council's LEED certification. Hollywood Refinishing is your trusted remodeling partner ready to help you create a unique and impeccable home! As a full-service remodeling company, we specialize in providing a diverse spectrum of both residential and commercial remodeling services, from drywall installations, tile work, plumbing and electric services to custom cabinetry and antique furniture restoration. Thinking outside the box has enabled us to create many living spaces that beautifully fit our clients’ lifestyles. Our attention to details has ensured that we stay within this field for over twenty years, constantly receiving new projects and orders through referrals.